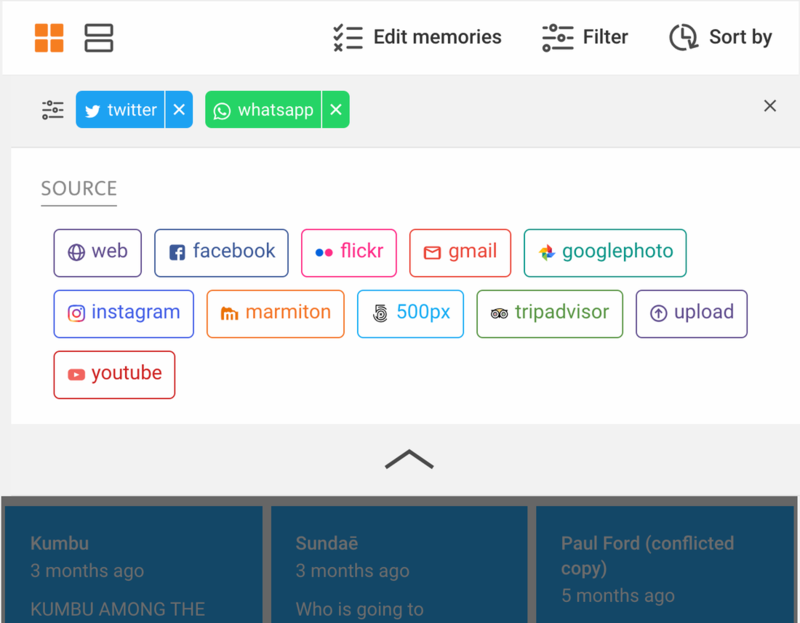 Filtering by memory source allow you to easily find back your memories across collections. 3. To remove 1 filter, click on the cross next to the source name in the filter bar. To remove all filters, click on the cross all to the right of the filter bar.